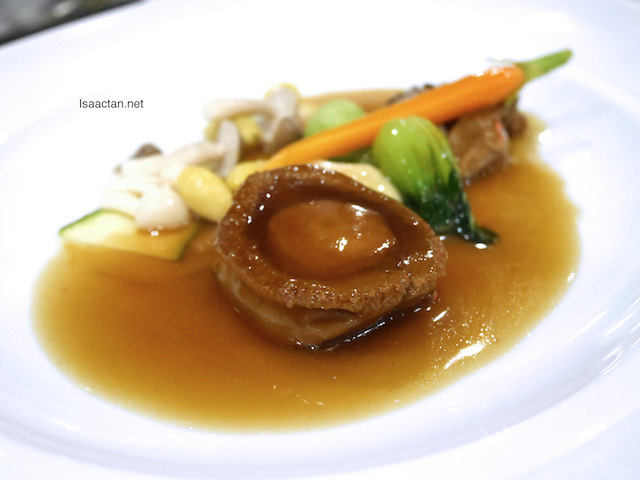 The Malaysia International Gastronomy Festival 2016 (MIGF) is currently underway, and various participating restaurants have come up with their own creations. This October, high octane Executive Sous Chef Kok Chee Kin is thrilled to showcase his 4-course high-powered cuisine set to send your taste buds into overdrive at Dynasty Restaurant in conjunction with MIGF 2016. Having participated in the MIGF for a number of years, Chef Kin knows exactly the high standards that diners at Dynasty expect of him. “Flavor is always at the forefront of my mind when I create a special menu and the food presentation itself must be pleasing to the eyes in order to satiate a high octane hunger,” said Chef Kin. Shown above in the first picture is the first dish of the 4-course festival menu priced at RM250nett per person and RM320nett per person with two (2) glasses of wine. 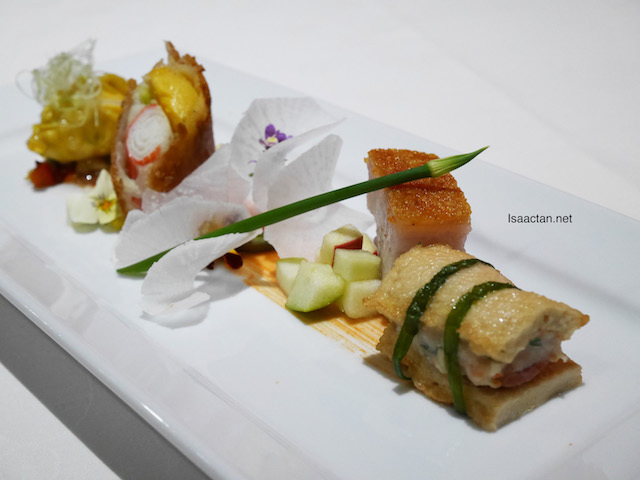 We started off with the a very nicely presented starter dish consisting of XO fortune money bag with bean curd folder, Crispy pork belly with apple and Seafood wrapped in rice paper. Love the crispy pork belly to bits! 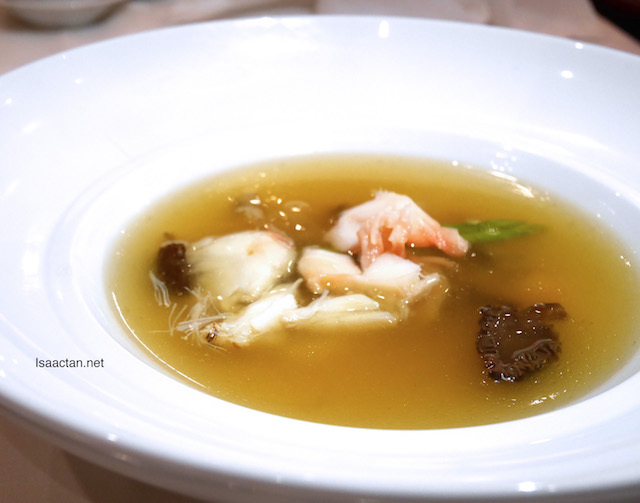 A real Chinese delicacy, for soup we had the Lobster consommé, morel mushroom with fresh crab meat and sea treasure. It was a tad salty though, but very flavourful. Love how the lobster complemented well with the crab and mushroom. Good start, and we're only at our second dish. Read on for more. 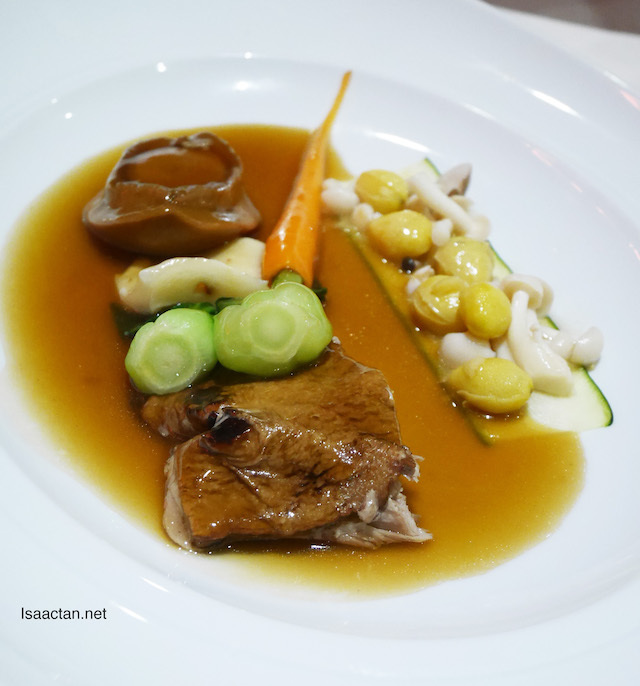 For mains, we got to savour the very luxurious Braised boneless duck leg, dried seafood and whole abalone dish. Again, it was a bit too salty for my liking, but hey, any abalone is a good abalone. 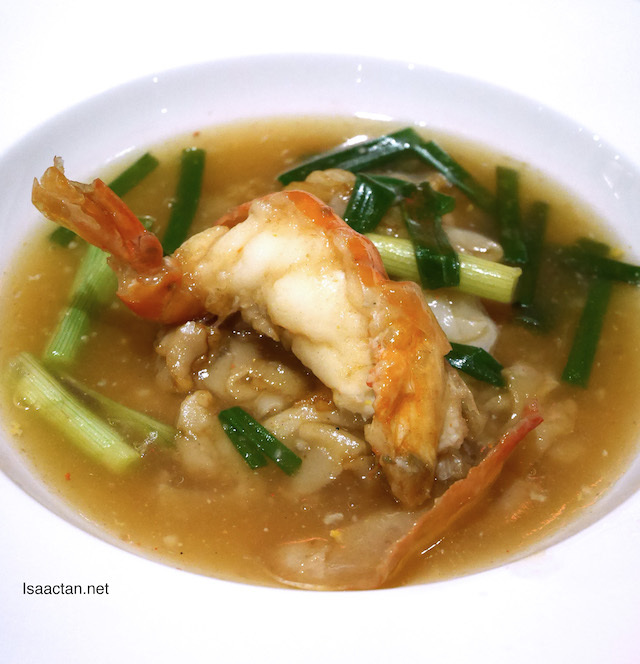 On top of the abalone mains, we get to taste the delicious King prawn with ginger and scallion, flat noodles. A nice end to the four course indulgence. 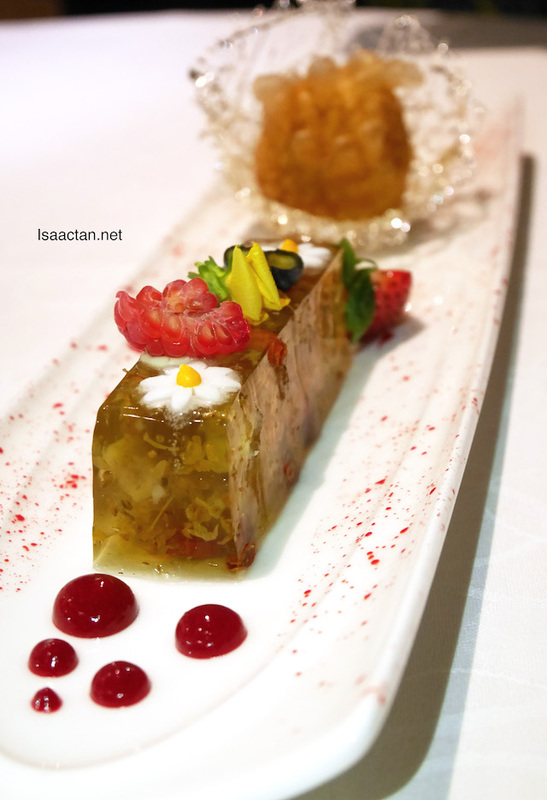 The Festival menu’s desserts of Double boiled bird’s nest and aloe vera in coconut with Golden potato, egg yolk custard and traditional alkaline cake seamlessly blur the line between traditional and contemporary Chinese cuisine. 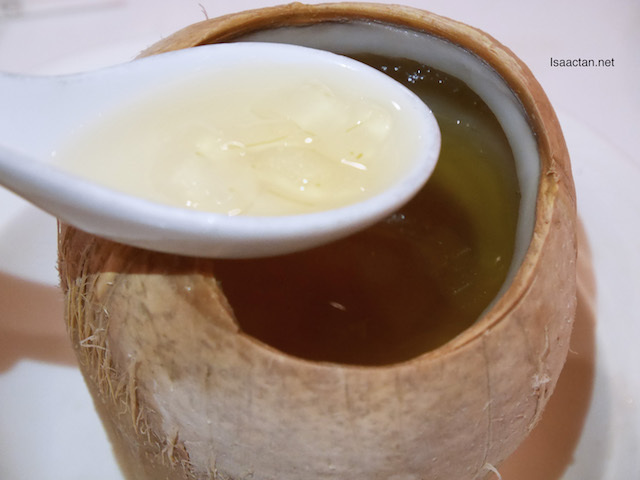 The 4-course Festival Menu is priced at RM250nett per person and RM320nett per person with two (2) glasses of wine. For reservation and restaurant enquiries, please call 03 2716 9388 or email rhi.kulrn.fb@renaissancehotels.com. their food presentation is very nice. the dessert looks really yummy.